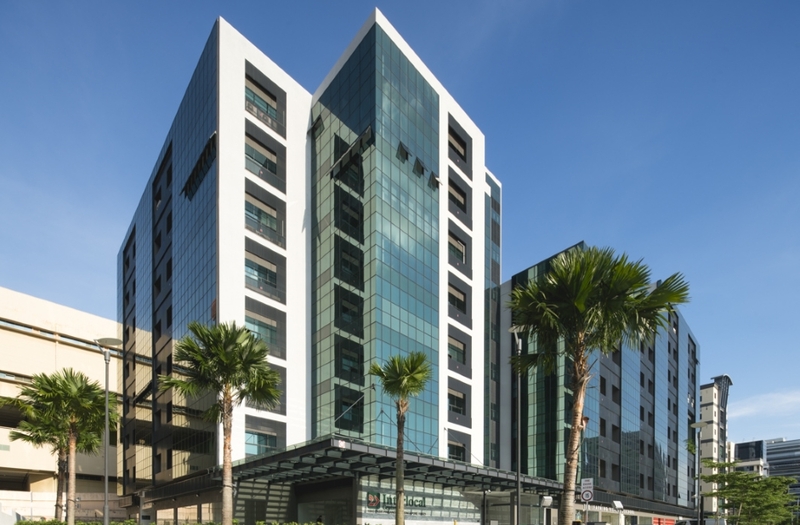 The 189 units, 8 storey multiple user light industry factory building located in central western region of Singapore was a project in collaboration with Kung & Tan Architects, a specialist and veteran in industry buildings development. The combination of the two firms produced an excellent result both in terms of project management and design, combining functions and aesthetics. The use of green tinged glass curtain walls as the main material with black mild steel for facades exudes an aura of a commercial office building nestled in a surrounding of lush greenery, breezy and relaxing environmental context of the Hort Park and Kent Ridge Park which are a stone throw away. Terraced roof gardens are located on 4 floors from 5th storey onward, creating pockets of green spaces where the users can enjoy the greenery just next to their units.